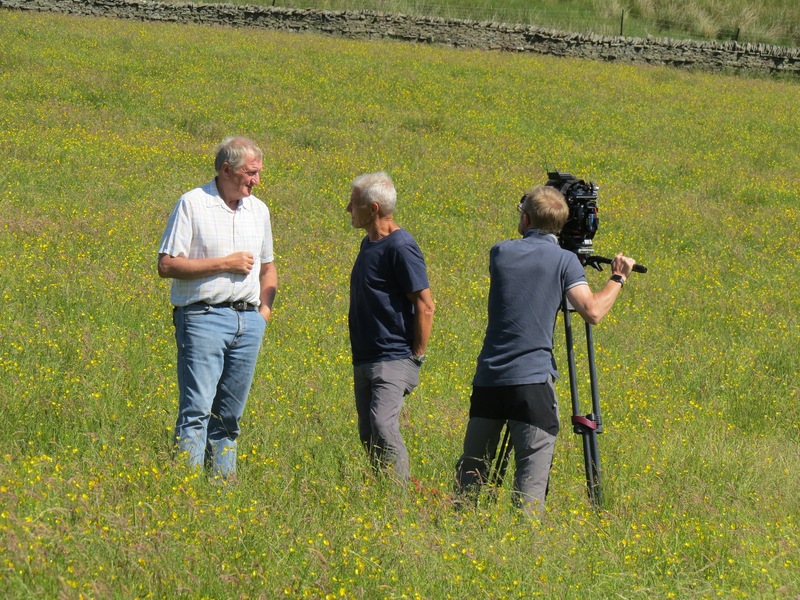 We have been approached by the BBC to take part in a series of programmes about the Yorkshire Dales. Three 30 minute programmes will be made each one dedicated to an individual dale. Swaledale is one of those dales and our part includes the traditional hay meadows & farming methods, making hay and the cow houses (cowus’s) all of which contribute to making the unique landscape of Upper Swaledale. 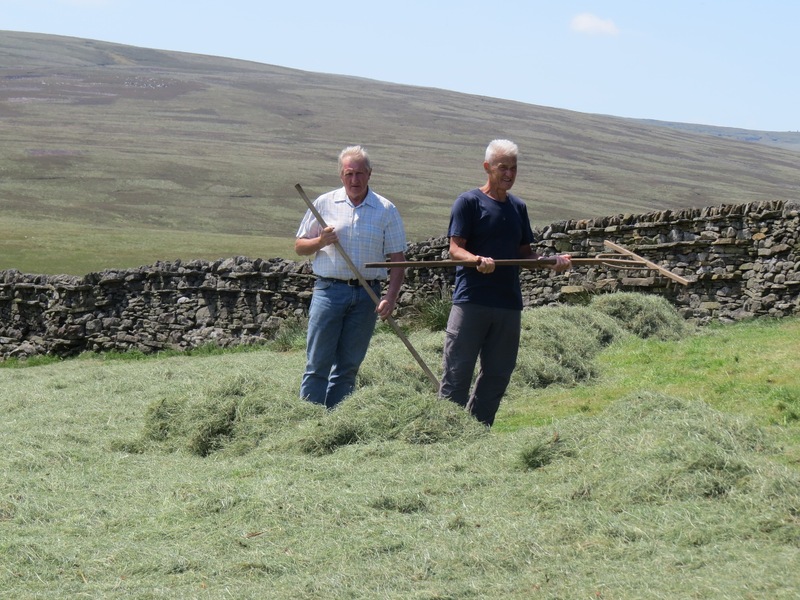 Paul Rose who presents the programms was interested in the cowus’s and was keen to help in the hay field. 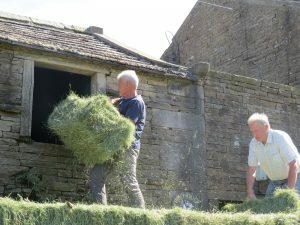 Chris showed him how to use a hand rake and they raked the hay out of the wall backs where the mechanical machinery can’t reach. 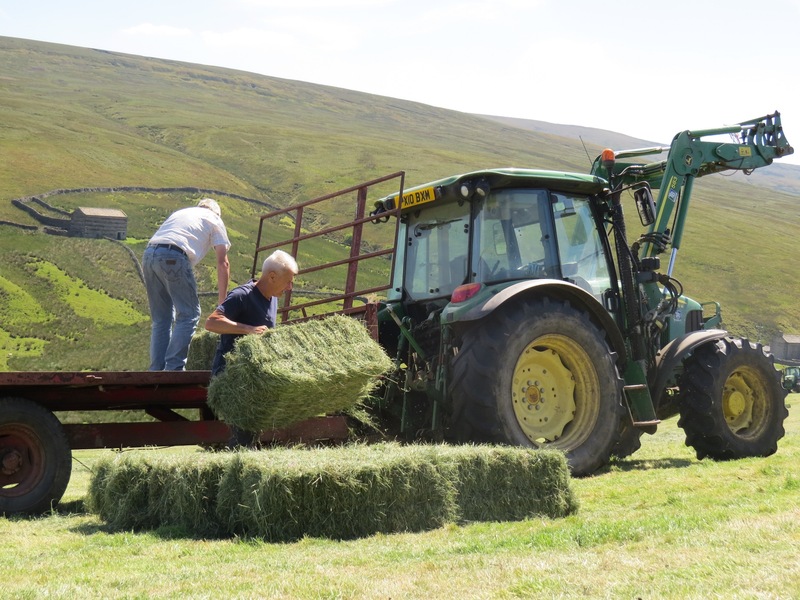 When the field was baled up Paul helped load the bales onto the trailer. This was then brought down to Pry House Farm and stacked in the cowus adjacent to the house. It was fun but nerve wrecking having the film crew with us for the day. They took some amazing footage of the upper dale using standard cameras and a drone however we have to wait until next year to see the results.